As a follow-up to the blog entry where I asked you which bills you’d use to pay in cash, I’ve found that most of you are just plain wrong. I understand that a $20 bill is more valuable than a $5 bill, but when you’re paying for something, you will always be dispensing the same value, despite the combination of bills that you use. I’m guessing that my ideas of how useful specific currency is, comes from my work as a cashier and as a vendor at craft shows, where $20 bills (or bigger) are some of the least useful forms of currency you can have, and everyone seems to be trying to “break a twenty” and there always seems to be a scarcity of fives and ones. So, to pay a charge of $10.53, I would ALWAYS pull out a $20 bill so I could keep and/or get more bills that were extremely or quite useful to me, and get rid of bills that are the least useful. When Thaddeus opens his wallet to pay for something and asks me if I have a ten or a five or a few singles, I will sometimes even lie and say I don’t…why would I want him giving away my useful bills?!? 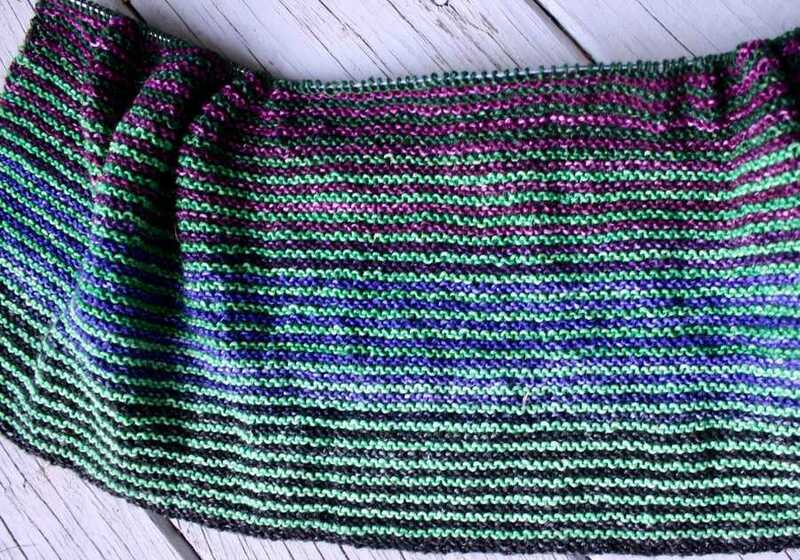 There has been a lot of knitting progress since Wednesday. First of all, I finished the project that I started second. 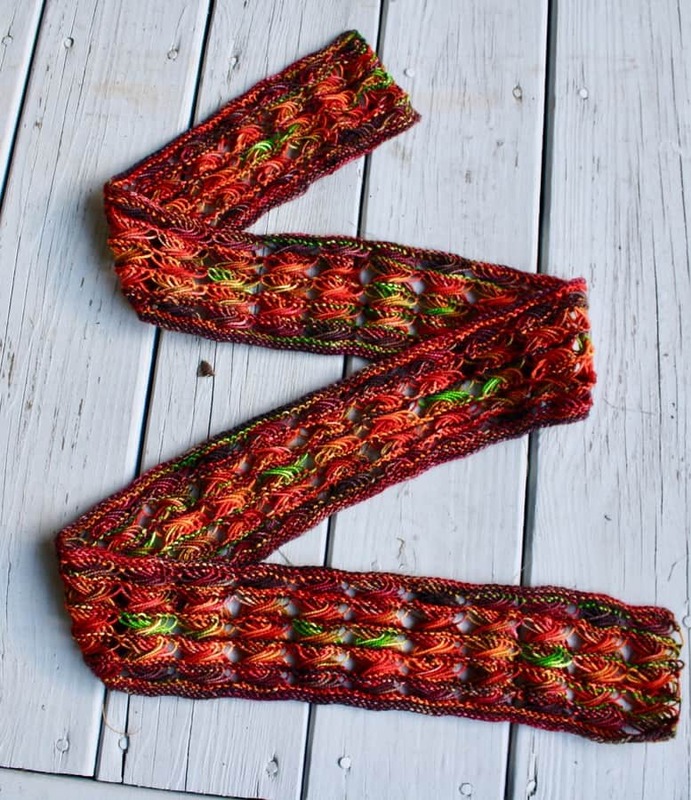 I couldn’t be more pleased with how Suzanne’s colors (from Groovy Hues Fibers) blended in this bright Autumny scarf. So pleased, in fact, that I ordered more of her yarn yesterday! 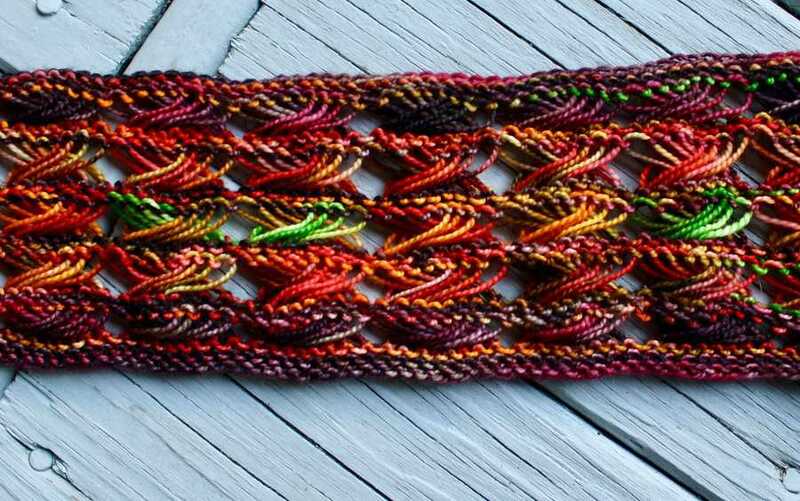 I also made it up to 100 rows on the Ombre Wrap. 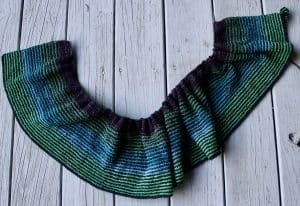 I really love how this fabric turns out and the resulting wrap is truly beautiful…it just seems to take forever to finish one.